Say goodbye to Jim, Max, Roy, and Harold. HBO, once the premiere network for boxing, has thrown their last punch and it was a matter of time. 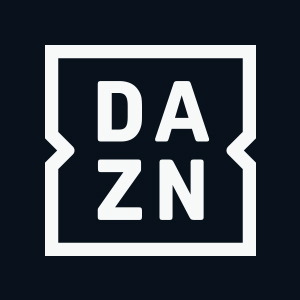 The network over the past few years saw a roster of fighters go to the other competition with Showtime, ESPN, and the new streaming DAZN Network. Promoters are utilizing the increasing number of vehicles used to stream fights including ESPN with Top Rank and Eddie Hearn with DAZN as a paid platform. In other words, this was a fight to survive as HBO and their boxing division tried to stay afloat and placed their revenue into alternative programming. It was just a matter of time and the boxing industry expected the inevitable news that became official Thursday afternoon. So it appears the rematch with Canelo Alvarez and Gennady Golovkin, televised on HBO Pay-Per-View, that generated a reported 1.1 buys, was a good and final punch. Though HBO Boxing will continue their scheduled commitments and close shop after October 27th. That night, a championship doubleheader from New York at the Hulu Theatre at Madison Square Garden, includes a middleweight title fight between Danny Jacobs and Sergey Derevyanchenko for the vacant middleweight title. HBO could have one more telecast in the works and their year end year special as part of the farewell. A sad day at the network division in New York and gone for now, but a revamp down the road and possibly joining the others as another streaming network to showcase the fights has not been discussed. But this had to occur and not for reasons that the sport is on a continued decline. To the contrary it is the fighters that make a network work. HBO lost the big names over the past few years to other networks. The Hall of Fame champions saw their last punch. And that does not hold for the other networks. Simply put, HBO was out of the boxing business as they did not have the names. You can’t draw the audience without Manny Pacquiao, Miguel Cotto. And with the Klitschko brothers reign as heavyweight champions at a conclusion, it was difficult for HBO to be a mix in that division. For Eddie Hearn, Bob Arum, the PBC alliance with Showtime, they have the fighters and of course the digital platforms that HBO failed to pursue. The sport and exposure has gone in another direction and financial backing is a major role that HBO failed to obtain with their boxing division. They were left with Canelo Alvarez, Gennady Golovkin,Jamie Munguia, Dmitry Bivol, Sergey Kovalev, Daniel Jacobs, Roman Gonzalez, and Rey Vargas. Not the household names that are drawn to the other networks and minimal money to be a part of the competition. Errol Spence Jr., Danny Garcia, Keith Thurman, Shawn Porter? Names and faces of the sport also associated with the PBC and Showtime. Top Rank with their seven- year and lucrative deal with ESPN has shown the ability to develop that new face. They have achieved that with Jose Ramirez. The 140-pound champion is a rising star and recently defended the title with a possible fight of the year against Antonio Orozco. That fight was tabbed as one of the highest rated on the ESPN televised platforms. HBO also failed to mention the decline in cable subscriptions at a rapid rate. The consumer is more geared to other means of obtaining premium networks and the cable industry is aware of that concern. And by all means, the demise of HBO does not mean that boxing is a dead sport. This is just a sign of the times in a digital era. “As a person who fought on HBO 32 times and worked with the network to televise hundreds of fights under the @goldenboyboxing banner, I know firsthand the debt of gratitude the sport of boxing owes everyone at the company,” Oscar De La Hoya said on his Twitter account. De La Hoya, promoter of Canelo Alvarez is a part of that HBO history. Combined the two fights with Alvarez and Golovkin did not surpass the 4,6000,00 buys that Mayweather and Pacquiao brought in during their mega fight in May of 2015 that was televised in conjunction with HBO and Showtime Pay-Per-View. We grew up with HBO Championship Boxing. 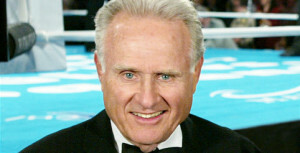 Jim Lampley, Larry Merchant,Roy Jones Jr. Max Kellerman and the “Fight Judge” Harold Lederman, in between George Foreman, Lennox Lewis, Andre Ward, and a cast of others. And of course a parade of champions. A slow death it was, The history for now and memories will go a long way in the sport.